You are here: Home / Turntable Reviews / What’s the Best Turntable Under $1,000? With the many turntable options out there, it can be somewhat intimidating trying to find the right table with the right needle, the right platter, and the right tonearm with just the right counterweight. There are dozens of options below $1K, from the cheapest of the cheap to tables that any serious audiophile would respect. Most of the best turntables under $1000 are also above $500, so that’s the primary price point that will be examined here. It should be clear, though, that this article will examine turntables under $1000, not entire hifi vinyl setups. One should be prepared to spend at least $1500 on a full, high quality setup. How one uses the table—whether one is a DJ or a vinyl aficionado—will in part dictate which turntable aspects will be more important than others. For instance, if I plan to spin and scratch like GrandMixer D.ST on Herbie Hancock’s seminal 1983 single “Rockit,” a direct drive and a upgraded cartridge would definitely be in order; the thing must be robust. If, on the other hand, I’m interested in hearing exquisite clarity and silences of Morton Feldman’s chamber music, there would be more important things to worry about (though a cartridge update is never a bad thing!). 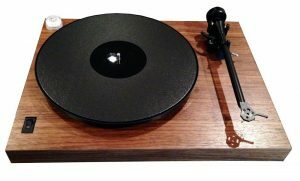 It is from this latter perspective that I will consider tables, so while those that are DJs can certainly enjoy this article, this particular review of sub $1,000 turntables is moreso geared to the everyman or everywoman that’s interested in acquiring a great record player to use for their growing vinyl collection. 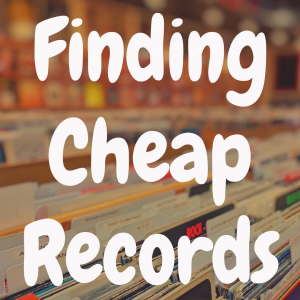 While there are a plethora of things to consider when dropping several hundred dollars on a turntable, there are a few components that contribute more to the overall sound and quality than others, and some of these are fixed in the table and cannot be upgraded. Among the first things to consider is the cartridge: it is arguably the most important part of the sound (assuming all other moving parts are stable) so it’s quite important to have a good one. 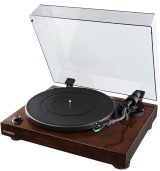 The tables on this list (we will list and discuss five great record players under $1,000) have good stock cartridges with moving magnets, but none would be considered “very high quality.” Fortunately, they’re upgradable on all the turntables here and really should be on any table one is willing to spend some serious cash on. Unfortunately, even if the a turntable has the ability to play 78rpm, a special cartridge is needed. Moreover, all the tables on this list come stock with moving magnet cartridges; moving coil cartridges are superior and cost enough to prove it. A point of contention among audiophiles is the way the motor drives the platter–that is, belt or direct drive. Both have their advantages and disadvantages, though it’s generally a personal preference. Belt drives can absorb some of the movement from the motor and not transmit those movements to the platter at the expense of slightly higher wow and flutter (the deviation of speed of the platter — as an aside, I read somewhere that when My Bloody Valentine’s Loveless first came out, folks thought their turntables were out of whack upon hearing the slow pitch changes in songs when it was just Kevin Shields’ and his whammy bar). Direct drives, however, are preferred by most DJ’s due to reliability, reduced wow and flutter, and the ability to spin backwards. Preamp: most modern amplifiers don’t have phono input so in this case, one would need a preamp. Many tables come with internal amps, but external amps generally sound better (but incur and extra cost). A heavier platter is generally better. Greater mass means greater momentum, resisting changes in speed better than a lighter platter. 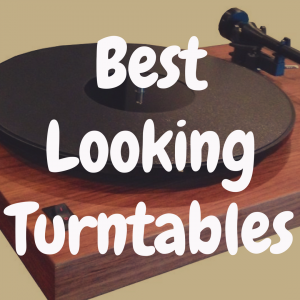 Now, let’s get into the five turntables that I think are your best options under $1,000. 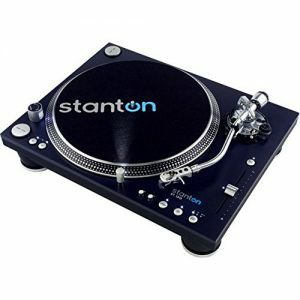 The Stanton ST.150 is an excellent DJ base rig and a high quality table in general. The ST.150 has the strongest motor in this list at 4.5kgf/cm of torque. This amount of torque offers precision speed with very low wow and flutter. This is excellent for spinning and scratching. The ST.150 is also the only direct drive turntable on this list, and as previously mentioned, a preference for DJ’s but nonetheless completely suitable for beginning audiophiles. The table has three speeds: 33-1/3, 45, and 78, though as noted above, one would need a special cartridge and stylus for 78. The steel construction means that these things are HEAVY! In fact, this table clocks in at 42 lbs, so if you’re planning to gig with these around town, it may be prudent to invest in a dolly. Adjustable pitch range, two start and stop buttons in an ergonomic position for user with two tables. A felt mat is included but no turntable cover; sort of expected for a DJ-oriented table. A related model is the STR8-150, which differs from its sibling by a shorter, straight tonearm instead of the S-shaped tonearm and cartridge: a 680HP on the STR8-150 and a Trackmaster V.3 on the ST-150. Both tables are an excellent choice for folks that are interested in a quality sound and playing with scratching. They’re heavy duty tables that will last a long time, sound great, and won’t (totally) break the bank, selling for $599. 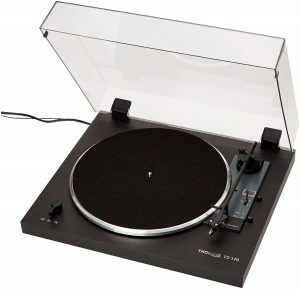 I wanted to include a table by Pro-ject: I’ve heard a few of their tables and think they’re great at a great price point (and quite modern looking, too!). It was a toss-up between the Pro-ject Audio Debut Carbon DC with the upgraded platter and upgraded cartridge (2M Red) and the 1-Xpression Carbon. I opted for the latter since it’s only $200 more — clocking in at $799 — for a superior table that can be upgraded from stock, as opposed to a table that has already been upgraded when purchased. Though it only sports two speeds with manual changes (33-1/3 and 45), the 1-Xpression is a serious table that would command the respect of any audiophile. Very minimal in it’s design, it exhibits only what is necessary for great sound. This is the 6th generation of the landmark Pro-ject 1 hi-fi table that was first debuted in 1991; a testament to the design and engineering of these models. A particularly interesting feature of this table is the carbon fibre tonearm that exhibits “EVO”-technology, using a resonance-damping counterweight to achieve maximum performance out of any cartridge, including the stock Sumiko Oyster Cartridge. The belt driven platter is a sandwich of steel thermo elastic polymers (TPE), providing optimal resonance on a Teflon bottomed bronze bearing. Pro-ject took no shortcuts on this table: even the entire structure is supported by feet that use the same TPE technology of the platter! 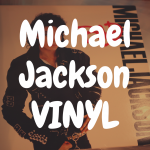 A turntable cover is included. Though Pro-ject can be known for budget tables, the 1-Xpression can be a very nice sounding table, especially with an upgraded cartridge. The tonearm is really something to admire, as the balance and low resonance work well with any cartridge, even one that may be more expensive than the table itself! The SOTA turntable is sort of the odd-man out on this list: made of wood and using another brand’s (Rega S202, in this case) tonearm. That’s right, this table is made of wood, with two finishes. Some may complain about only two speeds but when looking at the design and engineering behind the turntable, this ends up being at most a minor inconvenience. Despite being the cheapest SOTA table available, it checks in at $850, making it the most expensive on this list. The key to the MOONBEAM is the amount of damping put into the design: the belt-driven platter is created from a high-density polymer, so it is excellent at dissipating resonance created by the actual system of record playing. Moreover, Teflon bearings create very little friction, resulting in a spin so smooth I’d swear it was on air. The internal chassis is further dampened and there are two accessories that can be purchased from SOTA: the SOTA I-clamp, which increases the lower and upper extension, improving the sound stage and image, and the Isolation Platform, further isolating the table from the resonances and vibrations of the environment. Yeah, they did their homework. The tonearm on this table is superior even to the Rega table on this list, with nearly frictionless movement. Wow and flutter on this table is less than 0.1% at both speeds and the AC motor offers very consistent speed. And to top it all off, SOTA turntables are made in the USA and come with a lifetime trade-in guarantee. The table can offer years of pleasure, then when one is ready for a really serious table, can trade this in and use all the investment toward a better table (I’ve been eyeballing the MILLENNIA, but at $10.5k I think I’ll need to start collecting cans). 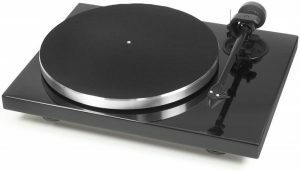 The German-made Thorens TD 170-1 is the most automatic of all the tables on this list: automatic drive system, electronically controlled DC motor, automatic tonearm return, and arm-lift. The TD 170-1 also has three speeds but again, one needs a special cartridge for 78’s (and the stock one is pretty good). Another convenience to go along with all the automation is the built-in phono preamp; one less thing to buy, making it easy to setup. The DC motor, though, is not my favorite. AC tends to be more stable with speed, since voltage drift isn’t really as much a problem as it is with DC motors. Another thing is that the entire unit is only 10lbs with the platter weighing in at just less than one pound; not that pure weight is a be-all-end-all but there is something about using a piece of equipment that feels like equipment. The platter is belt driven and I think the best part of the table is the OM 10 cartridge: a great introduction to high quality cartridges. A few reviews floating around the ‘net have bad things to say about this table, but there’s no reason to believe these were not flukes. Thorens has been around a long time and their vintage tables go for a pretty penny online. Nonetheless, some folks seem to be very happy with their Thorens and the tables of theirs that I’ve heard have sounded very good (granted, the cartridges were pretty fancy…). Not too shabby of a choice at $649, either. Despite a necessary break-in period, the Rega RP1 (or Rega Planar 1) is a fantastic turntable for a cool $445. A minimalist design, it features a hand-assembled Rega RB101 tonearm with a Rega Carbon moving magnet cartridge attached to the end. This table also comes in the most choices insofar as appearance is concerned: dark grey, cool grey, white, and Union Jack(!). 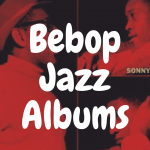 That’ll go perfect with all those British Invasion albums we’ve got stashed in our collection. The platter, as opposed to others on this list, is made of phenolic resin driven by a low vibration motor by a belt. The manual speed change—only two speeds here, 33-1/3 and 45—also eliminates inconsistencies with regard to speed, as well as reducing wear of the drive belt. Some users, though, have reported wobble in the platter unless it is upgraded (Groovetracer seems to be the preferred choice) but maybe they were just listening to that My Bloody Valentine LP I was talking about earlier. Despite it being lightweight, the RP1 sounds great overall. And it looks awesome, too. 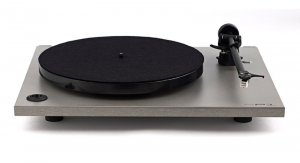 For some additional funds, one can also purchase the RP1 Performance Pack from Rega that includes an upgraded drive belt, a thick wool mat, and Rega’s own Bias 2 cartridge. The belt is thicker and more robust, while the mat offers better damping and reduced resonance. The Bias 2 cartridge, though, is a hand-assembled piece of engineering with a pair of parallel wound coils. For what it’s worth, the RP1 Performance Pack is worth the extra dollars (especially since the basic table is among the cheaper options on this list). 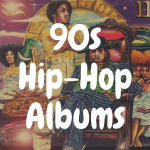 Your ears and wallet will thank you. NOTE: You can read our review of the Rega RP1 right here! From a pure audiophile perspective, the SOTA MOONBEAM wins out. All that energy spent in isolating the unit from resonances in the environment and within itself is energy well-spent. The SOTA offers superior imaging, overall sound, isolation, and you can finally exclaim that you have a SOTA. In fact, if you upgrade the cartridge to a moving coil, you’ve got yourself a serious audio setup that would make even the most rigid of audiophiles nod with approval. 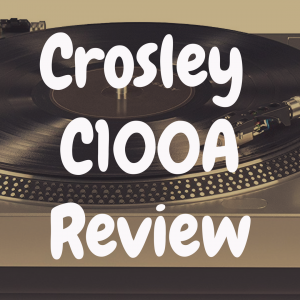 It’s not exactly a bargain table, but the quality, craftsmanship, and overall sound that comes with it, along with easily upgradable components, make this table an excellent choice as an entry level turntable. What’s the Best Audiophile Turntable Under $2,000?